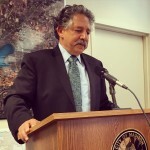 MADISON (WORT) — The City of Madison has overwhelmingly given Madison Mayor Paul Soglin another four years in office. 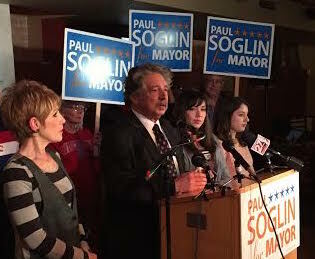 With all precincts reporting, Soglin received nearly 72 percent of the vote with wide support throughout the city. The challenger, District 8 Alder Scott Resnick, received 27 percent. 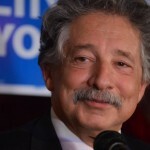 Soglin calls this year’s mayoral race the longest in city history. At his election night party at the Brink Lounge, Soglin told supporters that he’s focused on reaching full employment in the city, ending chronic homelessness, and academic success at every Madison school. 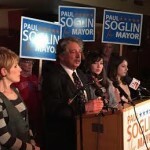 Soglin’s landslide reelection victory marks the beginning of his 8th term in office. First elected when President Richard Nixon was in the White House, Soglin is presently in his third stint as Mayor of Madison. He is the city’s longest serving mayor. The lopsided election result doesn’t reflect fundraising efforts by the candidates or endorsements from elected officials. The most recent reporting data show both campaigns raised around $125,000. 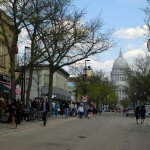 A notable number of current Madison Common Council members and former mayors backed Resnick in the race. Shortly after Soglin and Resnick emerged as the two frontrunners in the 2015 Spring Primary, 19-year-old Tony Robinson was fatally shot by a Madison Police officer. The incident sparked a broader conversation about police protocol and the troubling racial disparities in Madison and Dane County. 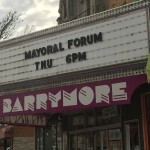 The police shooting of an unarmed teenager also became a focal point of discussion at numerous candidate forums during the campaign. The Wisconsin Government Accountability Board predicted only a 20 percent voter turnout statewide. The final numbers on turnout in Madison came in at just under 30 percent.